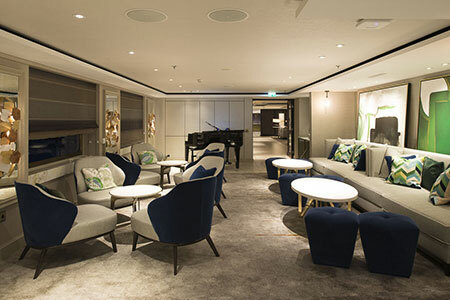 This intimate spot is an ideal venue for listening to music while sharing cocktails and conversation with friends. 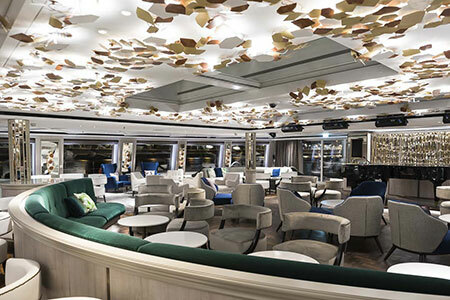 The Mozart Bistro is a favorite onboard spot offering renowned coffees, charcuterie and pastries of Europe in a casually elegant and convivial venue. Refined, cool and contemporary, Palm Court is the perfect gathering spot for cocktails, conversation and extraordinary views of Europes enchanting landscapes. 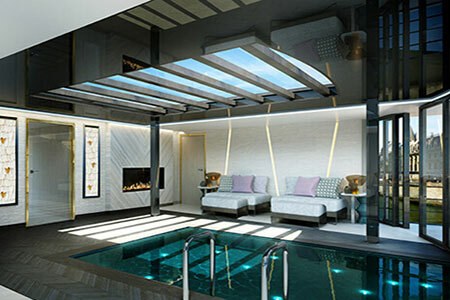 Here guests will enjoy piano music and dancing, conversational seating areas, a gorgeous bar and an ever-changing marquee of sophisticated entertainment. Enjoy a refreshing dip in the swimming pool, located on Deck 2. 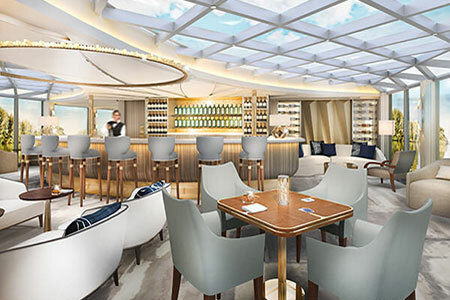 Another guest favorite unique to Crystal, this Euro-chic contemporary space brings the legendary wines and cuisines found throughout Europe aboard each river yacht for custom wine tastings and pairing dinners. 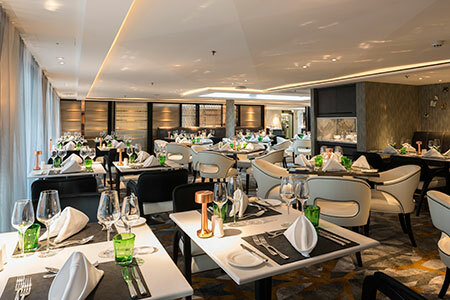 Boasting cuisine of Michelin-level envy, the Waterside Restaurant is the main dining room, serving elaborate breakfast and lunch presentations, followed by elegant, open-seating dinner service. 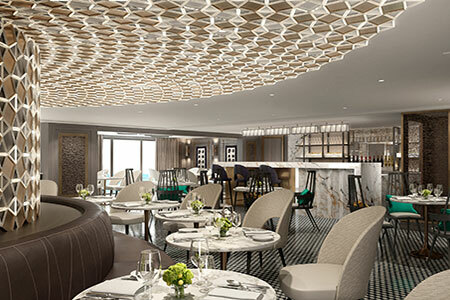 Each experience highlights farm-to-table dining during your cruise.